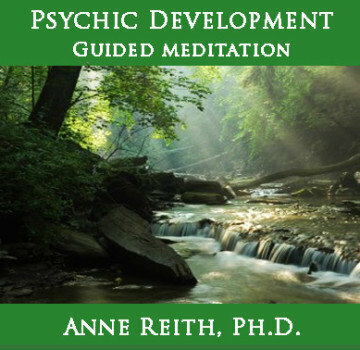 Dr. Anne Reith has been teaching psychic and mediumship development classes, Reiki classes, and Karuna Reiki classes in the Southern California area since 2002. She is one of the most respected and well-known teachers in the healing and psychic arts fields. 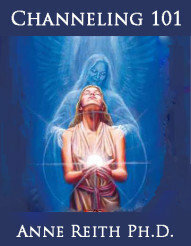 Anne offers psychic development classes as well as Reiki training in the Orange County area. She also teaches a wide variety of spiritual development and metaphysical classes on a weekly basis. 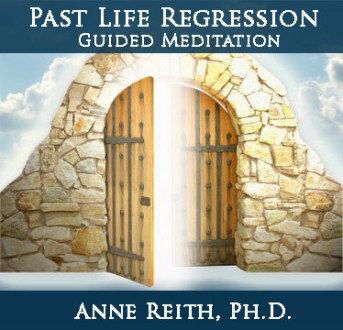 Anne is a Psychologist, a Reiki Master/Teacher, and a Karuna Reiki® Master/Teacher. She combines a 30-year background in teaching and psychology to provide a rich learning environment through her weekly, ongoing psychic development and Reiki classes, which support students in mastering their natural abilities to develop their psychic skills and healing abilities. Anne is the Founder and Director of “The Institute for Mediumship, Psychic, Astrological, and Reiki Training” (IMPART), through which she offers her IMPART Certification Program for Psychics, Mediums, and Healers. 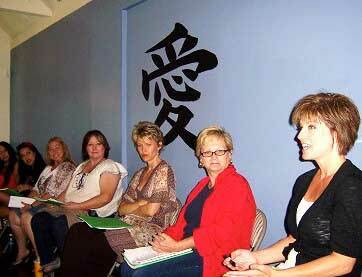 All of Anne’s classes are held at the Impart Wisdom and Wellness Center (IWWC). 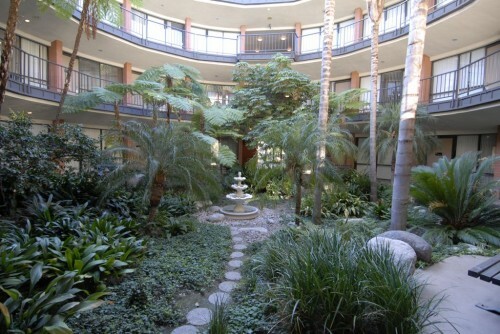 The IWWC was founded by Dr. Reith, and it is located in a unique round building on the border of Tustin and Santa Ana in the Orange County area of Southern California. The IWWC not only provides space for Anne’s classes, but it is also a wonderful wellness center where we provide a beautiful, serene, sacred space for psychic readings, mediumship readings, spiritual coaching, personal and family counseling, and a wide range of healing services (e.g., Reiki, Karuna Reiki, hypnotherapy, EFT). Services are offered by many gifted readers, healers, spiritual coaches, counselors, and various practitioners of the “mind body spirit” genre. Click here to view our Directory of IMPART Certified Psychics, Mediums, and Healers. The IWWC also has a metaphysical store in Orange County where we provide many of the tools and supplies our students and practitioners need for their personal spiritual journeys and professional practices. For example, we carry an extensive selection of angel and oracle card decks by Doreen Virtue, Steven Farmer, John Holland, and Collette Baron-Reid. We also carry crystals, gemstones, healing wands, pendulums, jewelry, books, gifts, calendars, and much more! 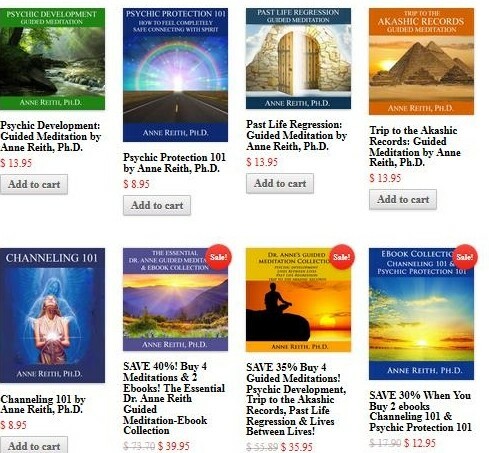 Anne offers her guidance and support on a global level through her ebooks and audio download products available in our online metaphysical store. 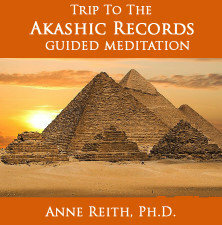 meditations for purchase, as well as some FREE metaphysical downloads. Visit our online store today to browse Anne’s various products! And then come back often to check for new releases in the coming months. What can you expect to receive by attending Anne’s in-person Reiki and Karuna Reiki classes? Through Anne’s monthly Reiki and Karuna Reiki classes, you will learn how to access “universal life force energy,” thereby enabling you to serve as a conduit or channel of Divine healing energy on a daily basis. You can use this energy to heal yourself, others, animals, and even plants! And for those interested in psychic and mediumship development, becoming attuned to the Reiki and Karuna Reiki energy will enhance your ability to receive messages from angels, guides, and deceased loved ones. 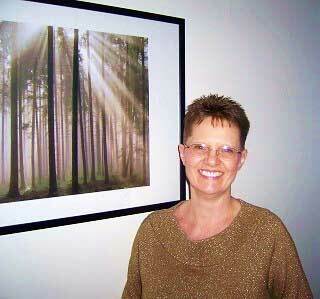 For more reviews of Dr. Anne’s Reiki and Karuna Reiki Classes see Testimonials. What can you expect to receive by attending Anne’s Psychic Development, Mediumship, Channeling, and various other metaphysical classes? Anne’s psychic development, mediumship, and channeling classes will teach you how to communicate with your angels, guides, and deceased loved ones using “the clairs” (i.e., clairvoyance, clairaudience, clairsentience, claircognizance). Anne also offers astrology classes! For more reviews of Dr. Anne’s Psychic Development Classes see Testimonials. How do I know if I could be a psychic, a medium, and/or a healer? How do I learn how to connect with God/Source/Spirit, my guides, angels, archangels, ascended masters (e.g., Jesus, Mother Mary, Buddha), and/or deceased loved ones? How do I use a specific divination tool (e.g., cards, runes)? How do I learn how to be a Reiki healer? How can I use my abilities to help others? What makes Anne’s classes, programs, and products unique? Anne is committed to providing the highest quality classes, products, and services. Her goal is to deliver information in a clear, concise, organized, and user-friendly way! IMPART’s overall goal is to provide exceptional metaphysical programs in the Southern California area, as well as certification and training programs and educational material that will help you whether (a) you are brand new to the field of metaphysics or (b) you are more experienced but want to learn more about a specific topic. Clearly Communicated: Anne always strives to make complex subjects as understandable as possible. She does her best to avoid using obscure words or convoluted wording. She does not believe that a dictionary should be required when reading IMPART material. Concise: Anne understands that most of you are trying to fit your metaphysical studies around jobs, relationships, families, and various other responsibilities. Therefore, she does her best to provide you with information that is accurate, thorough, and concise. Organized: In our longer ebooks and manuals, Anne always endeavors to provide a detailed Table of Contents that will help you find the information that you need. What have many of Anne’s students experienced by attending her classes? They have developed a wonderful new sense of confidence in their ability to connect with Spirit/Source/God through the development of a set of tools and skills that supports the growth of their psychic abilities, allowing them to have access to spiritual guidance and support on a daily basis. They love connecting with like-minded, spiritual, and metaphysically-oriented students who provide them with a wonderful support system through meeting at IMPART classes and workshops. 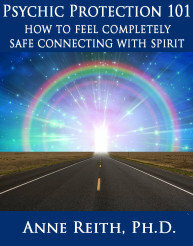 They now know that they never need to feel alone on their spiritual journey. We are here for you! They feel exhilarated by their deepening connection with God/Source/Spirit. They feel significantly better about all areas of their lives, including health, relationships, work satisfaction, and emotional well-being. They report experiencing a new sense of peace and well-being about their day-to-day life. They report feeling a deep compassion and unconditional love from Anne, which creates a safe space for them to open up and share who they really are without the fear of ridicule or rejection. Many have reported healing major blocks and issues due to feeling safe enough to explore and express themselves within the sacred, heart-centered space that Anne has created. To read some student success stories and testimonials, please visit Anne’s Reviews and Testimonials. What is the next step for you & how do you get started? 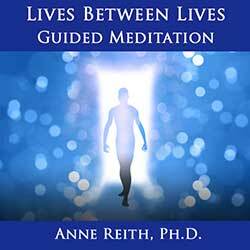 The first thing we recommend is to join Anne’s Online Community as quickly as possible so you can begin receiving current updates on Anne’s latest metaphysical classes, training programs, and educational material. It’s FREE to join, and you will also receive (a) FREE Full and New Moon Astrology Updates and (b) links to new blog posts that Anne writes! Click here to join Anne’s Online Community today! You may want to explore our online Calendar, which lists all upcoming events at the IWWC, including Anne’s psychic development, mediumship, psychic channeling, Reiki, and Karuna Reiki classes. 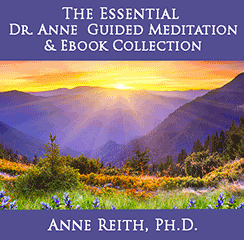 Be sure to browse Anne’s online store for her ebooks and guided meditation downloads. Have questions? Feel free to contact us by email at Anne@AnneReith.com or by phone at (714) 599-0017. Again, welcome to IMPART, and many blessings on your journey toward enlightenment!